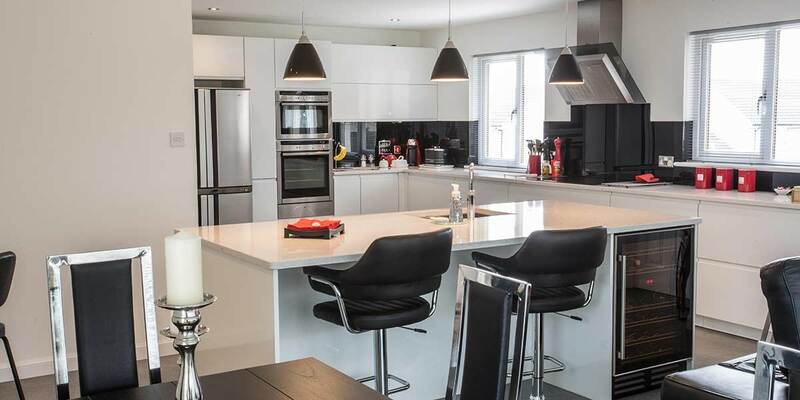 Home lifestyles have evolved and many Scottish householders now find themselves spending far more time in their kitchens than in their living rooms. 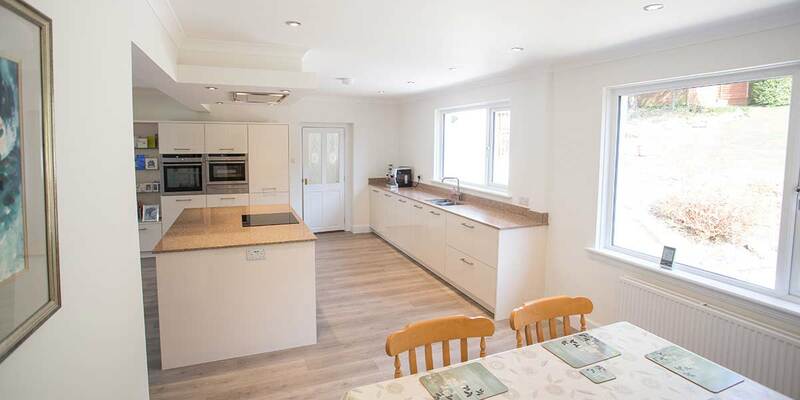 If you love being in your kitchen and would love added spaciousness to cook, entertain, relax and generally enjoy home living, a kitchen extension from Bon Accord will afford you such luxury. 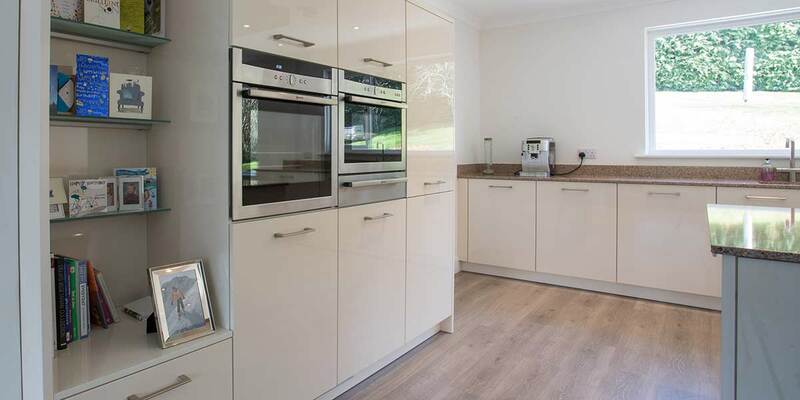 Our tried and tested method of extending kitchens is guaranteed to leave you with an impressive new-look kitchen that excites the entire family and will be the beating heart of your property for years to come. 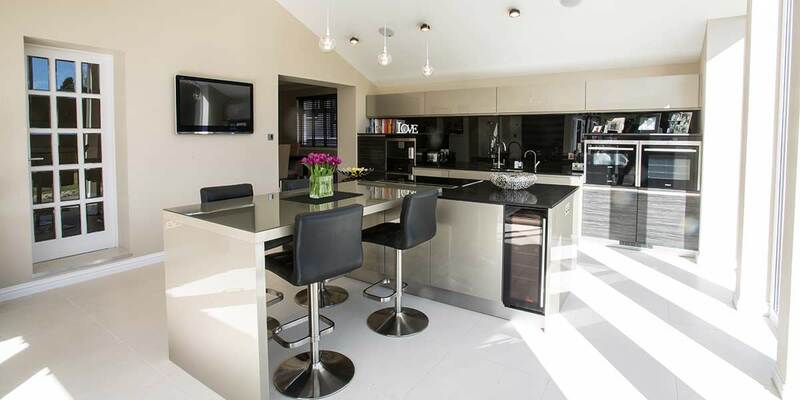 It will also add some serious financial value to the house. 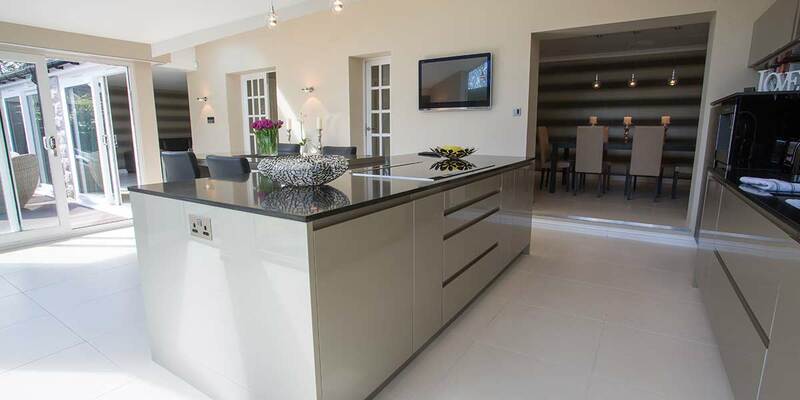 Once you have budgeted for your kitchen extension, sit down with our designers and inform them of your preferred layout for your new space - perhaps you like the idea of including a kitchen island or breakfast bar. 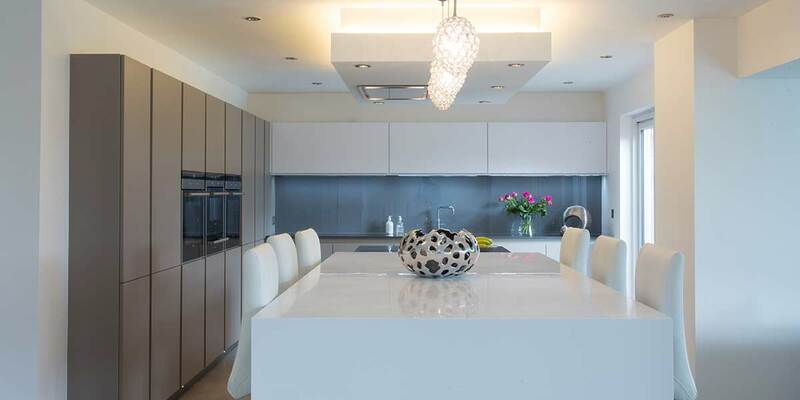 They will be able to tell you what is and isn’t possible. 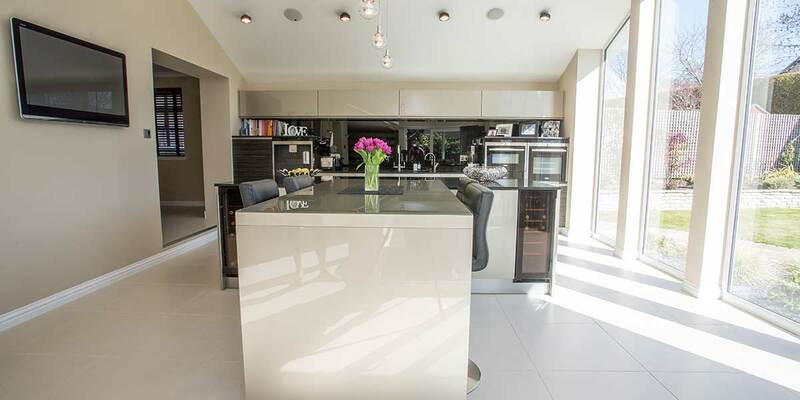 Every kitchen needs a fashionable colour scheme too. 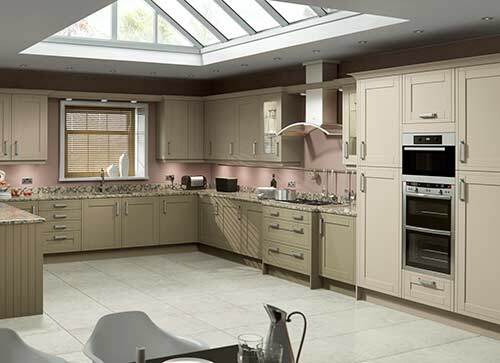 Choose a colour that is likely to survive changing trends so that the kitchen will remain in vogue. 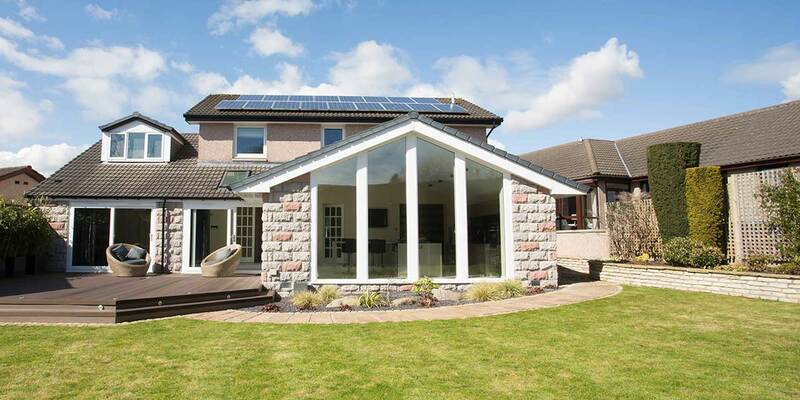 You may also want to incorporate add-ons such as skylights, in addition to conventional light fittings, if you would like the inside of the extension to be bathed with natural light during the daytime. 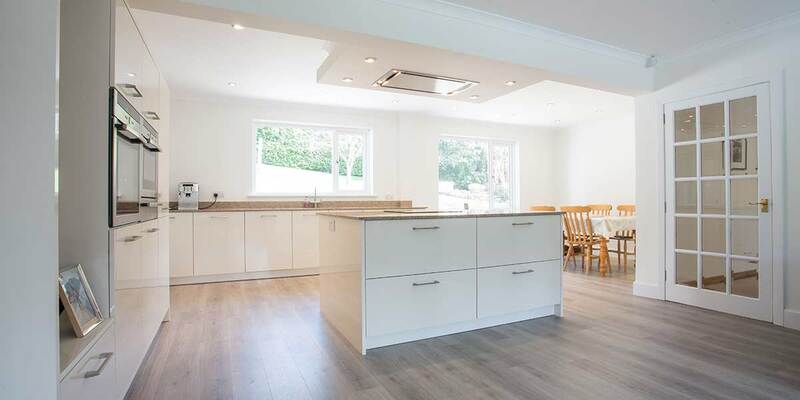 Other considerations when buying a kitchen extension include the flooring, fixtures (cabinetry, drawers), plumbing and appliances. 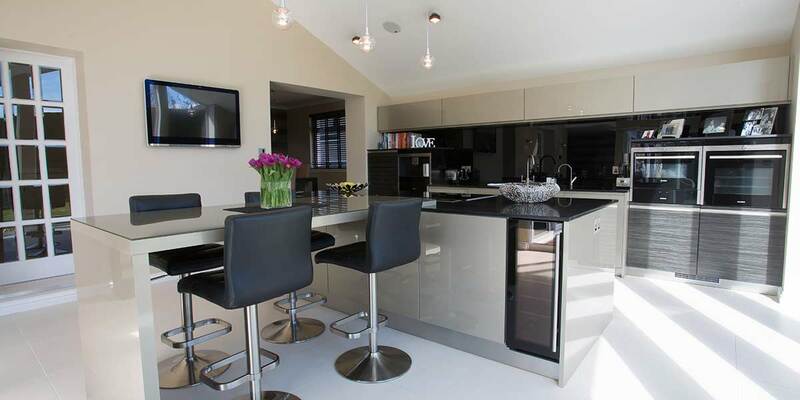 Visit our Aberdeen Showroom with all your ideas and we will bring them to life. 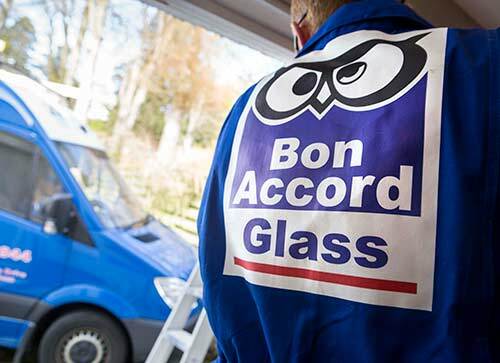 From your very first dealings with Bon Accord you will realise just how dedicated we are towards customer service. 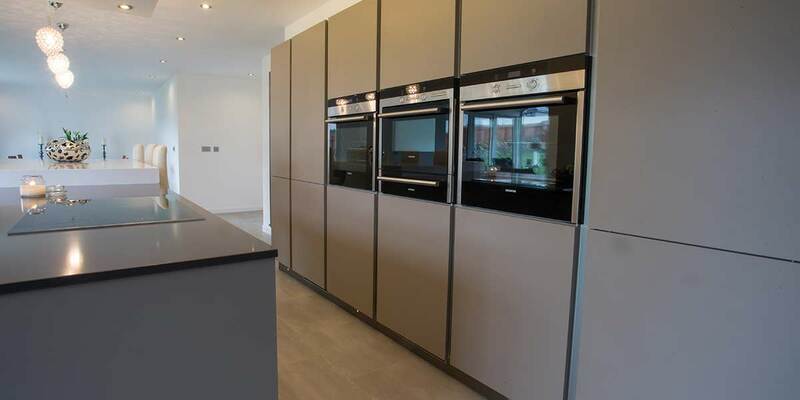 After informing us of the requirements you have for your proposed kitchen extension, you will be assigned a dedicated Account Manager who will be your main point of contact and take responsibility for keeping you up-to-date with the progress of the installation and ensuring the entire project runs smoothly. 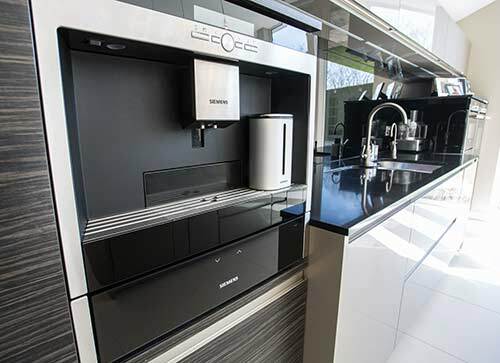 They will organise a convenient date for you to speak to one of our designers who will listen to your ideas and commence drawing them out. 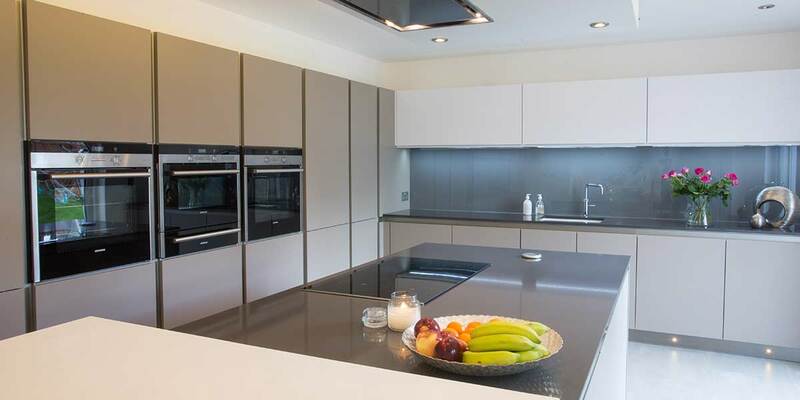 All drawings will be shared with you and you are welcome to advise your designer of any changes you would like making until you reach the point where you are happy for the installation to take place. 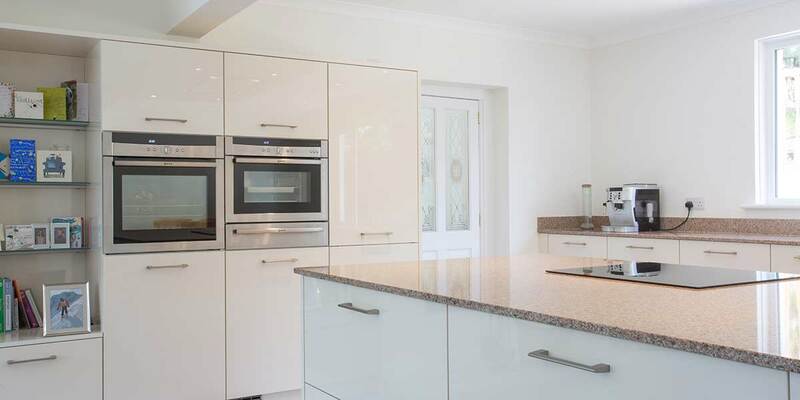 Our installation team will do their very best to cause as little disruption as possible when constructing your kitchen extension so that you can continue going about your home life normally. 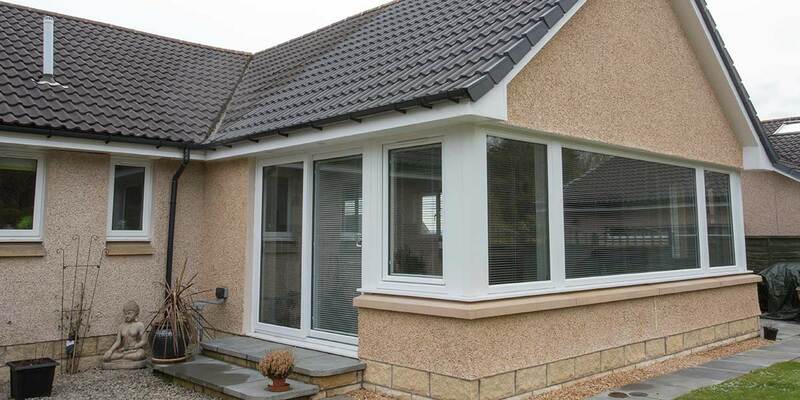 Each individual installer employed by Bon Accord possesses years of installation experience and that will be evident when you see the finished extension. 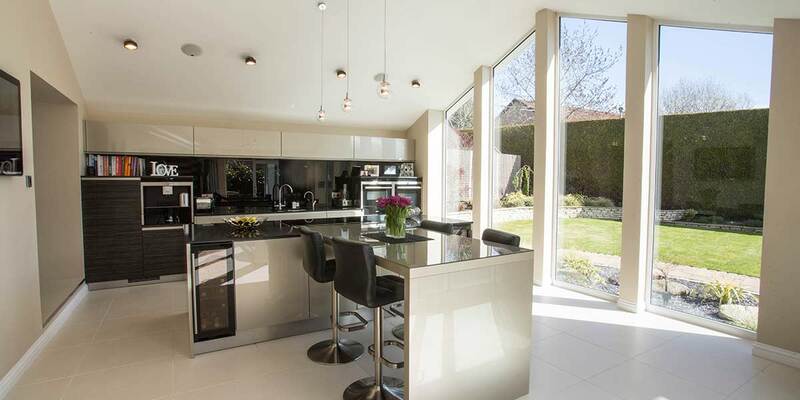 The layout of your kitchen extension should be influenced by your chosen lifestyle and be based on how you plan on using your kitchen as cooking may not be all you want to do in it. 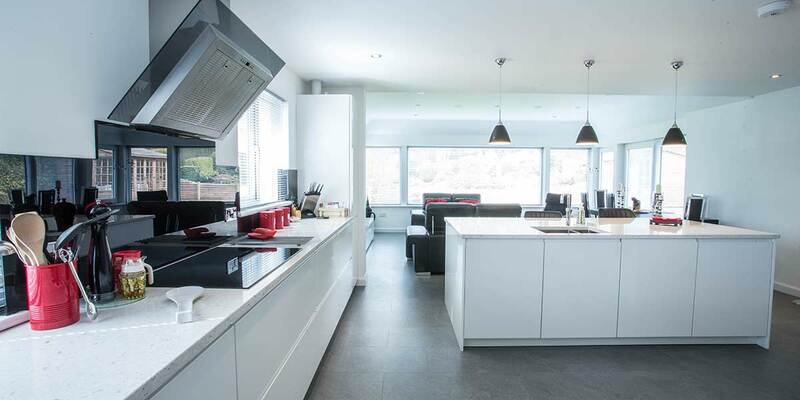 An open-plan kitchen layout (usually in an L-shape) will be your best bet if you want a roomy feeling kitchen where you can entertain guests, move about freely and socialise without restriction. 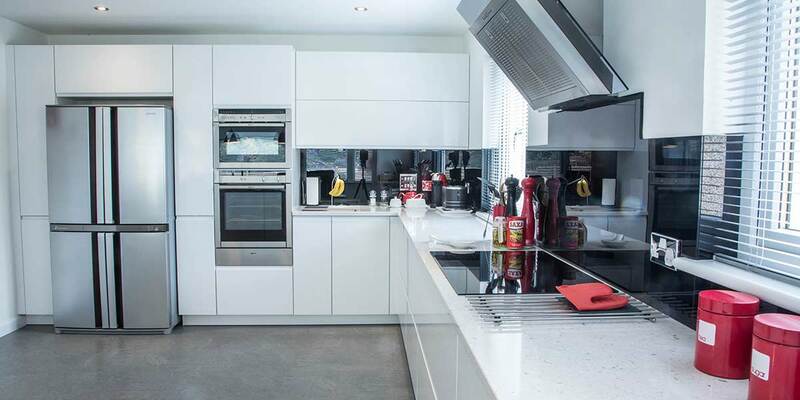 There is still though a strong case for having a closed kitchen if you would prefer to restrict the smell of your cooking to the kitchen and want it to be an isolated space. 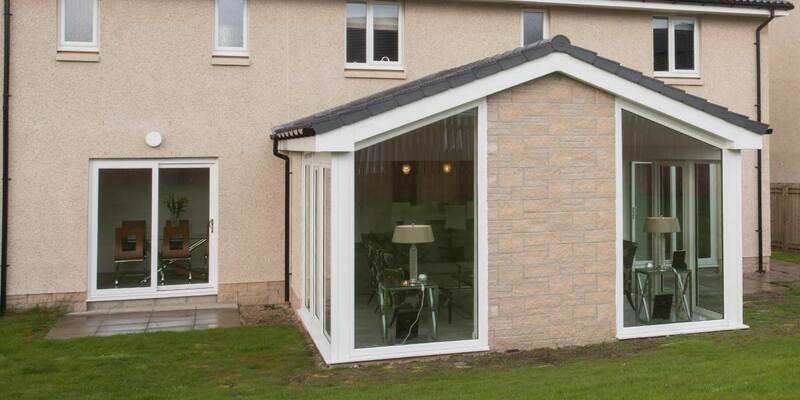 You can rely on Bon Accord to get the layout just right to make your kitchen extension feel like it’s always been a part of your home. 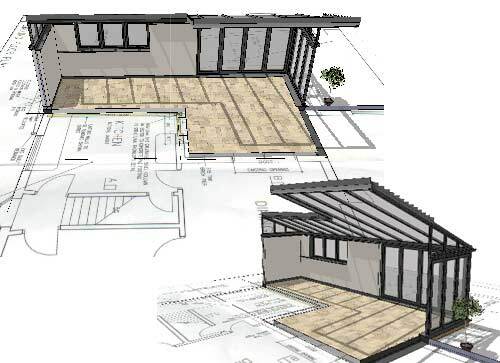 After the plans have been drawn up and agreed to, we will get on with constructing every part of the kitchen extension, from the roofing system to the windows and doors. 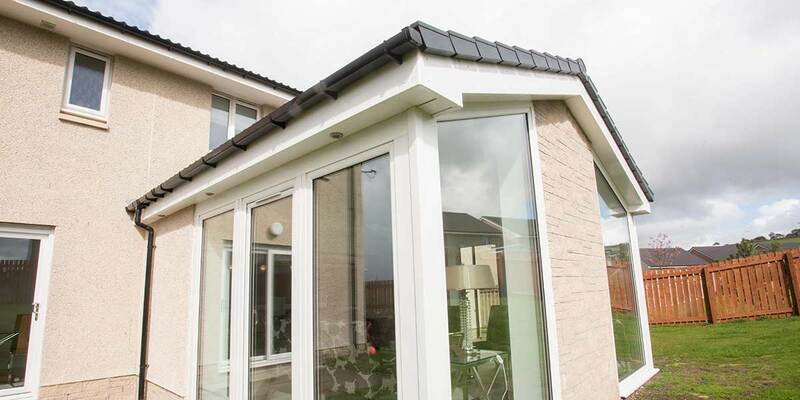 All of our roofs, windows and door products offer an exceptionally high standard of thermal efficiency to help keep your kitchen extension nicely insulated in all weathers. 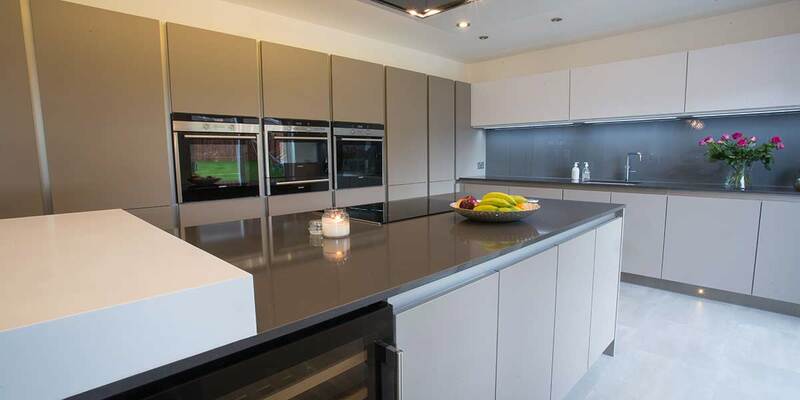 We insist on only ever using the finest materials and components as we like our kitchen extensions to be the best around. 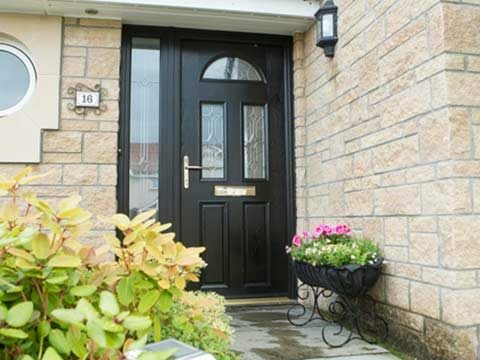 Our craftsmanship skills are also second to none and we demonstrate astonishing attention to detail. 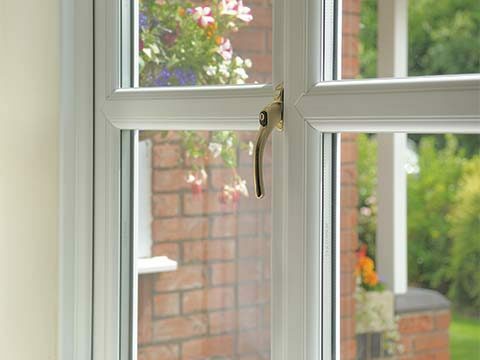 Modern, traditional or designer – which will it be? 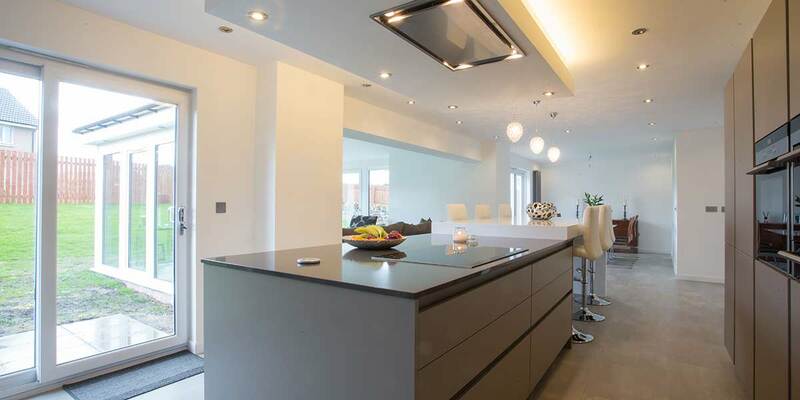 We have been in the business of designing kitchen extensions for customers for well over 40 years and offer a very eclectic range of modern and traditional kitchen designs. 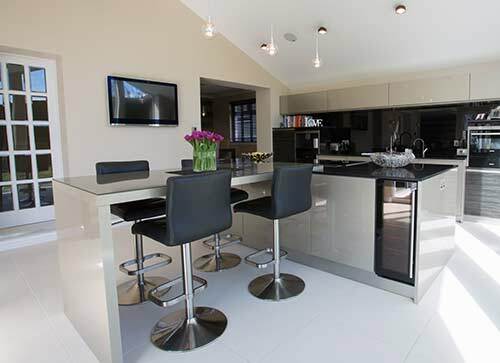 It’s worth telling you that you can spread the cost of your kitchen extension with our easy payment options and get inspiration from our fantastic online showcase of completed kitchen extensions. 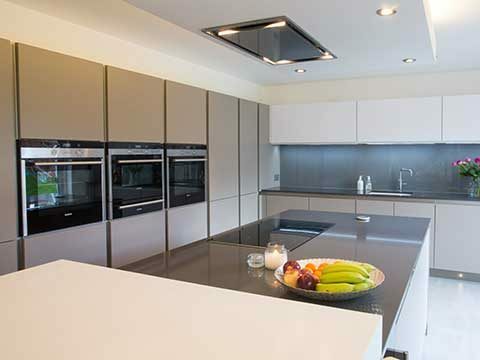 When conceiving a kitchen extension it’s important to account for any essential finishing touches to make the design complete. 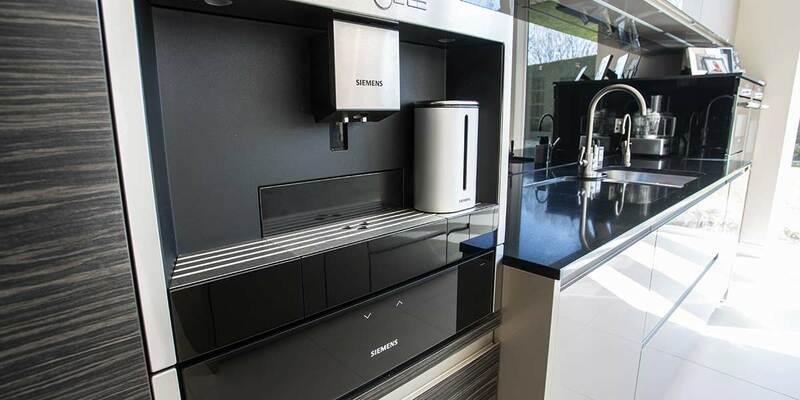 Much will depend on how you intend to use it. 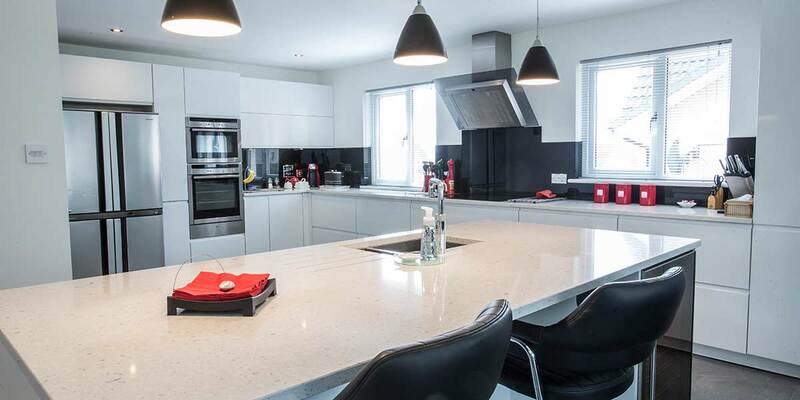 Keen cooks with an eye on the contemporary may want their kitchen extension to be equipped with all the very latest gadgets and gizmos such as an instant hot water tap, hi-tech countertop appliances, induction hobs etc. 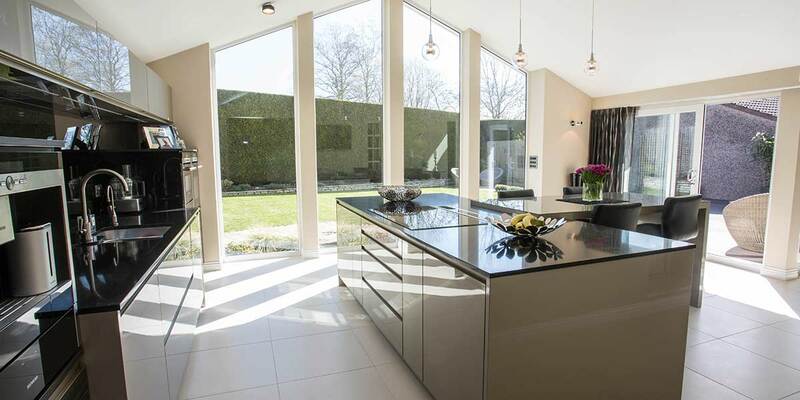 If it will be a place for both cooking and unwinding and the kitchen is adjoined to your garden, how about incorporating a set of bi-folding doors that in fine weather you can effortlessly fold open to generate a beautiful passage between the two areas. 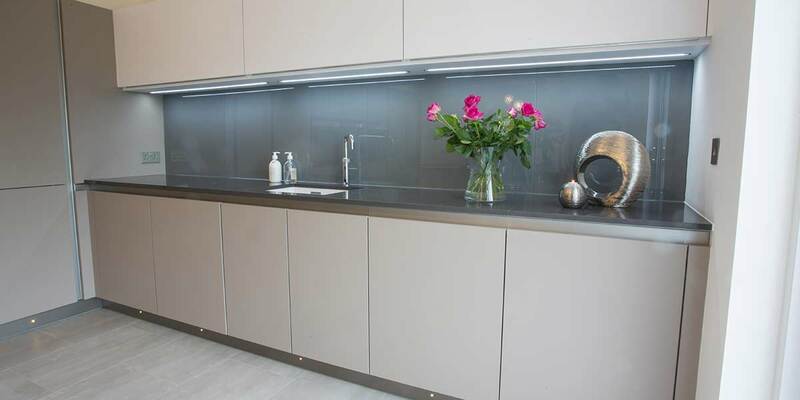 And remember not to overlook storage so that you can keep your kitchen clutter-free. 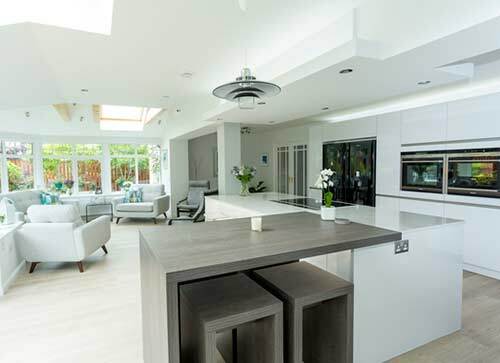 You may have to apply for planning permission ahead of your new kitchen extension being installed, unless it is considered to be a Permitted Development. 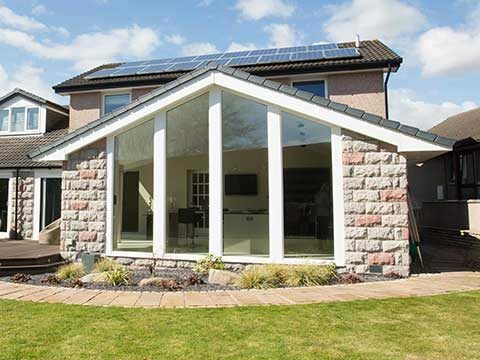 Permitted Development Rights apply and no planning application needs to be submitted when the extension successfully fulfils a number of rules - Bon Accord will be able to advise you of these rules and tell you what building work does and doesn’t fall under Permitted Development Rights. 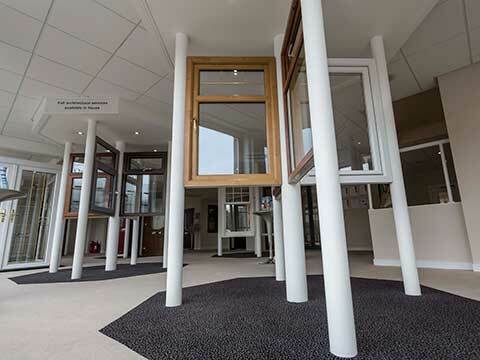 We are fully up-to-speed with local planning laws and building regulations. 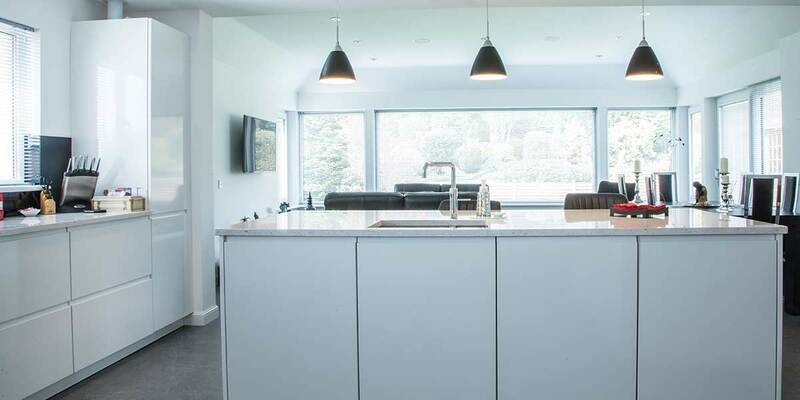 When planning permission needs to be obtained, we will assist with the putting together of the necessary paperwork and submit it on your behalf to your local planning department. 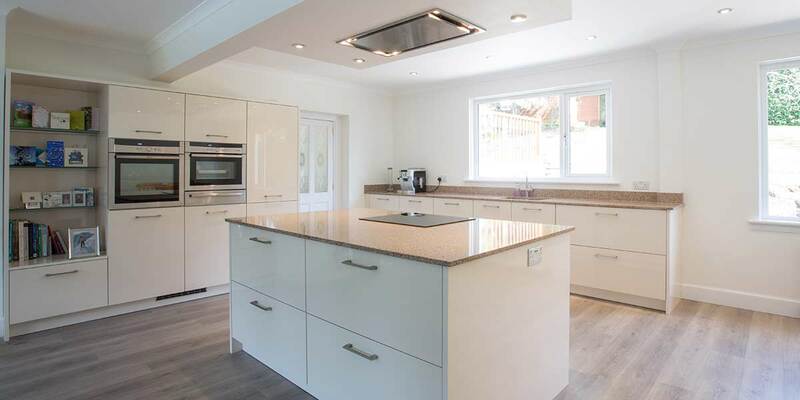 We appreciate that investing in a kitchen extension is a big financial commitment and it’s fully understandable before parting with your cash that you need complete assurance that it will be worth the money. 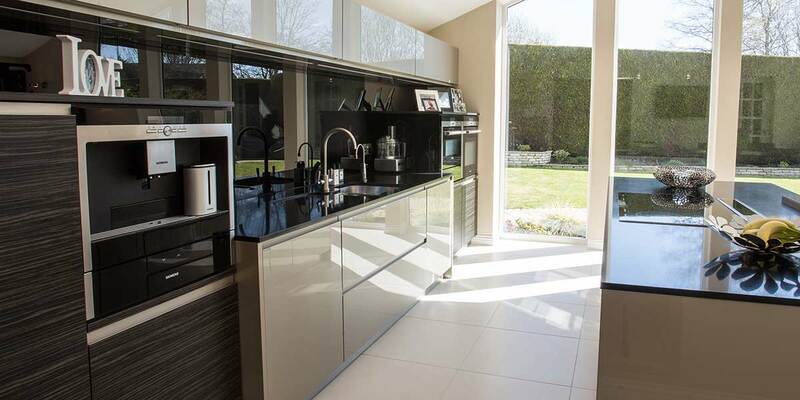 Our 10 Year Guarantee proves that it will be as it gives you peace of mind for a full decade that your brand new kitchen extension is comprehensively covered in the unlikely event of something going wrong. 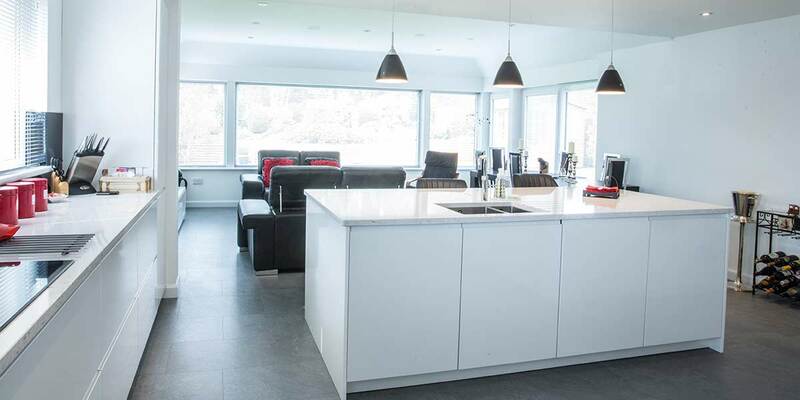 We have utmost confidence in providing you with this impressive 10 Year Guarantee as Bon Accord always employs an outstanding level of workmanship when constructing our stunning kitchen extensions, minimising the possibility of any structural damage occurring. 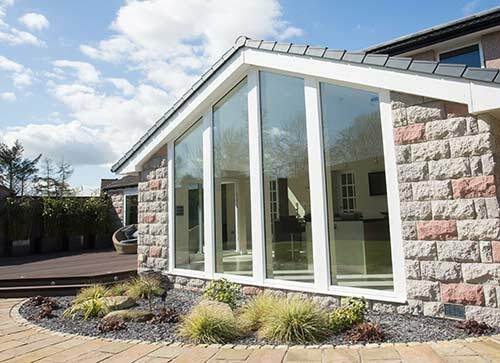 Bon Accord Glass is also a member of the Glass & Glazing Federation, the Conservatory Association and Federation of Master Builders. 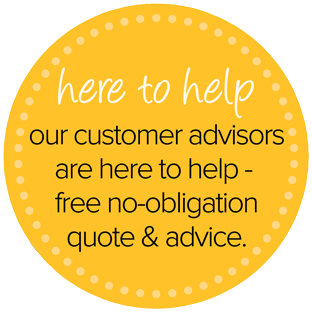 This further shows that we’re a company you can trust to do an expert job.